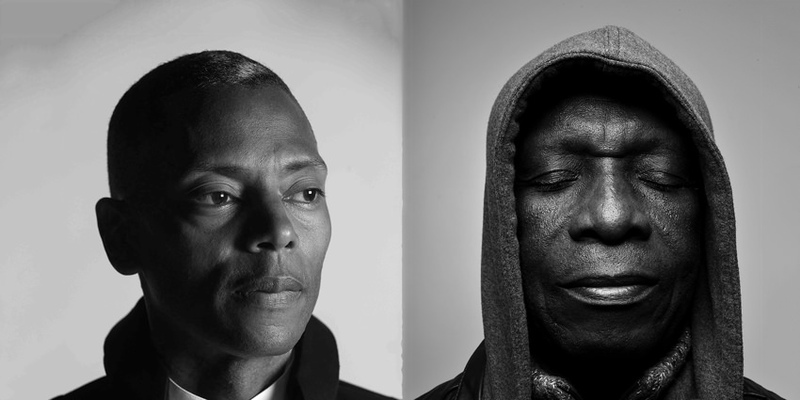 "I’m of the belief that, through sound, we might be able to connect with something that we would not normally experience in most circumstances of our lives..."
Ask anyone to reel off a list of pioneering musicians from the past 30 years and it'll surely include Jeff Mills. The producer saw the birth of techno in his hometown of Detroit in the late '80s and has been instrumental in pushing the genre's boundaries, and those of electronic music at large, ever since. In recent years, he's taken electronic music extraterrestrial. In a string of projects working with classical musicians, from jams with saxophonist Emile Parisien to exploring the solar system with a full symphony orchestra (Orquestra Sinfónica do Porto Casa da Músi) he's asked fundamental questions about who we are, and what our understanding of our place in existence is. Ahead of his appearance at Field Day 2018 with legendary Afrobeat and Highlife drummer/pioneer Tony Allen, we catch up with the purpose maker to talk collaboration, Sci-Fi and describing the future. Firstly, I wanted to ask about one of your recent projects that has a link to London. You recently worked with NTS on Jeff Mills: The Outer Limits, in which you explored high-level concepts relating to astrophysics and parallel realities. How did you go about constructing the series and presenting a subject that baffles even those at the forefront of it? Does music, in this sense, act as a language that can help translate these high-level, abstract concepts in the same way mathematics does in the science itself? The concept of the program was inspired by the mid-1960’s American TV show of the same title. What I wanted to create was a programme that could explore subjects in the fields of science, space science and science fiction. Each show would consist of 1 or 2 guest soloist musicians to help explore the concept in a 60-minute all-exclusive musical soundtrack. So, each episode is basically a new unreleased album. Pre-recorded, each show requires many weeks of research, production and planning. The Outer Limits is essentially a platform for music improvisation; to explore these exotic subjects in ways that are uncompromising. I believe music can act as host in order to explore scientific subjects, especially electronic music because of its habit to experiment with sound and frequencies. Last year you worked on a project called The Planets, an electronic/classical album exploring our solar system. This was another in a series of genre-blending projects that looked at some fairly big ideas. How come you try to explore a range of grand concepts through building narratives with elements that often lie at what seems like opposite ends of the spectrum? At this point in your career, do you feel it's only natural to progress into something like this rather than simply make music for music's sake? By my intuition, I’m exploring the subjects that I’m convinced we should be hearing more of through electronic and techno music; that these subjects would appeal and speak to more people than they would if only on the subject of physically moving or dancing. So, in reality, I’m not swinging as far out as one might think when we think about all the people in the world that have listened to and currently listen to electronic music. What I’m focusing on is the majority, not the minority of listeners. Musically imagining the 9 Planets isn’t experimental, it's educational. My hope is that people that listen to it might think about where we are in time and space more than before and, by doing this, will certainly recognize just how fragile our existence is; that Planet Earth is a special place and that we’re lucky to be living in this time. I’m not sure what I’m supposed to be doing “at this point in my career”, so I’m simply doing what I feel might be more important and relative to others. You’re performing with Tony Allen at Field Day this year. Can you explain how the project came about and how you feel the dynamic of your output, centred on programming electronics, works in tandem with Allen’s instrument-based afro-beat and high life? 3 – retracting the arm/hand. 3 – pod down drum volume. By arranging the drum machine this way, I can react (or pod the volume up) at will and be spontaneous along with Tony. I can play sound with both hands like a live drummer would do. I’m interested to know what your thoughts are on artistic collaboration since I feel there are a number of different views an artist can take on the subject. I remember reading that you said you weren’t particularly interested in other producers’ output, or even the audience’s thoughts when you perform. You said you want to be able to go as far as you can with your music which, in my mind, seems like you're motivated by seeing how far you can push your own creative and artistic boundaries. How do you reconcile this with your more recent collaborative efforts? I reconcile this view because I’ve decreased the number of interactions with other artists that I can measure and compare myself with, such as other DJs or other electronic artists. I can’t compare myself to the saxophonist Emile Parisien or drummer Tony Allen. Each of them has created their own realm in which they think and play. It’s like two worlds colliding together. As a DJ, I’ve found that the best way for me to search my mind and imagination to play more emotionally and with a certain passion is to put my attention into what I’m doing, not what the audience is doing. Understanding that even in 2018 the art form of DJing is still evolving, I’m proposing a different way of playing techno music, specifically Sci-Fi Techno. It works something like this: When I play/DJ Sci-Fi techno, the story is already written in my mind. For instance, it’s a trip to planet Mars. I’m just trying to find the right way to tell it using the music I have. I don’t need the audience to interact, they are passengers in the journey as if they're watching a film or a classical concert. To me, the process is more clear because I understand what my objective is. 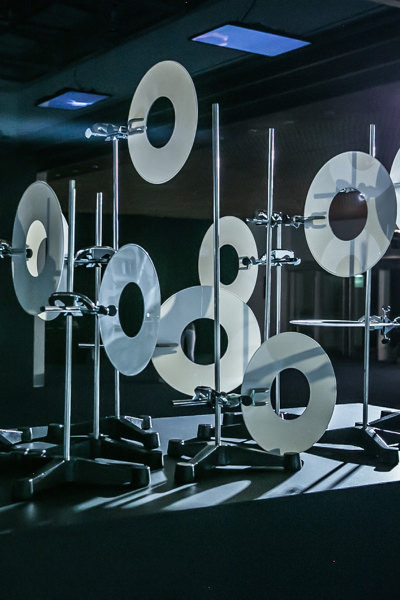 You curated Weapons, an exhibition that collated artefacts and art from your conceptual and live performances across a number of years to show how techno, even in its earliest forms, acted as a weapon of empowerment to the average person. 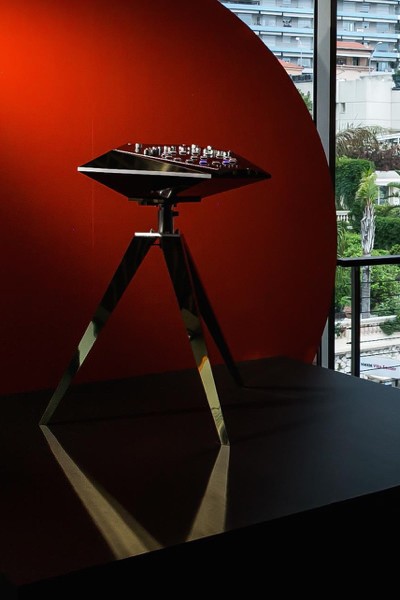 It recently saw its second edition in Monte Carlo, which this time was focused on a range of ideas relating to perception. How do you feel techno has changed the way we perceive the world? Well, let's look at the things we know as fact: We know that electronic music is allowing people all over the world to express themselves in open and honest ways. We know that the genre is still quite creatively elusive and not completely hijacked by corporations and other industries. We can see that because of the ways we’re creating the music, sounds, and frequencies, Electronic Music has surpassed many other genres of music in terms of its ability to describe the future. We can peacefully get together by tens of thousands to listen to it. And more importantly, Electronic Music remains suggestive – everyone can still have an opinion of what it is or isn’t. I believe these are the key components of what will make the genre survive for a long time into the future because even when we’re free, we want to be freer. This recent edition of Weapons was also about protection. It was about how we're bombarded by information and how we have to sort through it to determine what’s right and what’s wrong. Not whether what we feel is right or wrong, but that we still live in a reality where facts matter. The show consisted of things that are rarely seen by the wider public and that are only in existence because of techno music and the type of imagination the genre allows. So, my goal was to put these elements in front of people that think they know what techno music is all about to counter that impression. Looking at the bigger picture, in terms of the genre you've built a career on, Afrofuturism was a prevalent theme in early Detroit Techno. You're regarded as having been influenced by the ideas surrounding it as well as exploring the concept in your own work. Would you say your exploration of themes surrounding space and the outer reaches of the universe in your more recent projects is an evolution of the Afrofuturism that was an early part of the genre? With Detroit being the city that gave birth to techno, and you being one of the genre’s pioneers, where do you feel its legacy lies? The genre developed 30 years ago, yet a lot of music that's produced today under the umbrella term 'techno' is arguably just an iteration of what people like you were doing all those years ago. In that sense, where do we go from here? Like in any genre of music, there are stages in its evolution. We’re still very much in the first stage. Meaning, all the creators of the genre are still living and breathing! There will come a time when we won't be able to ask questions to Ralph Hutter of Kraftwerk, Juan Atkins or Ron Trent. Like imagining what Miles [Davis] was thinking, musicians in the future will have an ocean of ideas and examples to refer to and to be inspired by. This, I believe, is not only the legacy of Detroit techno but electronic music as a whole. Every one of us that creates this music is depositing ideas and examples about what this time we’re living in is like and how we’re imagining the future. Particularly, with the city of Detroit, they are still producing interesting formulas, blueprints and prototypes. From here, we should go in all directions, and mix with other art forms and genres as much as possible. We should produce music in higher volume. It’ll help if we stop trying to categorize music or people by region, but I guess old habits are hard to break! Lead image credit © Jacob Khrist. Jeff Mills 'Weapons' images credit Cedric Odet.